Princessly Polished: Get Airborne Support With a $1-off Coupon! Disclosure: This post is about free products that I received for review from Smiley360... and the timing couldn't have been more perfect! 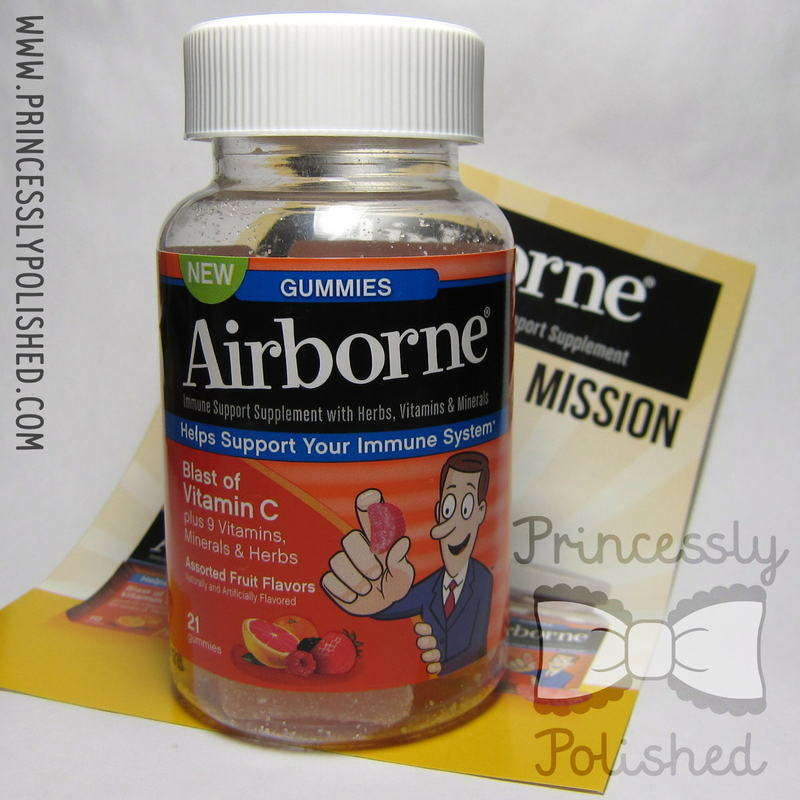 The flu has been going around town as Airborne gummies arrived at my doorstep! Read on for my experience with them and a $1 coupon for you! Instead we always have a stockpile of Airborne supplements in our cupboard, in the effervescent tablet form, and we'll take them as soon as we're starting to feel a cold coming on. These are of course fruity flavors, and my husband kindly gets me the Airborne Very Berry flavor as it is the most tolerable to me. It really does taste good, but I shudder by the last gulp anyway. Like I said, I'm just extremely weird when it comes to fruity beverages. Needless to say, I was really excited to try the bottle of gummies. The flavors are Citrus (yes, I was leery), Mixed Berry, and Grapefruit. Grapefruit! I couldn't believe it. That isn't a common flavor... Once I saw that I was really, really excited to try these. Citrus is the orange-colored gummy, and it has a surprisingly nice taste. 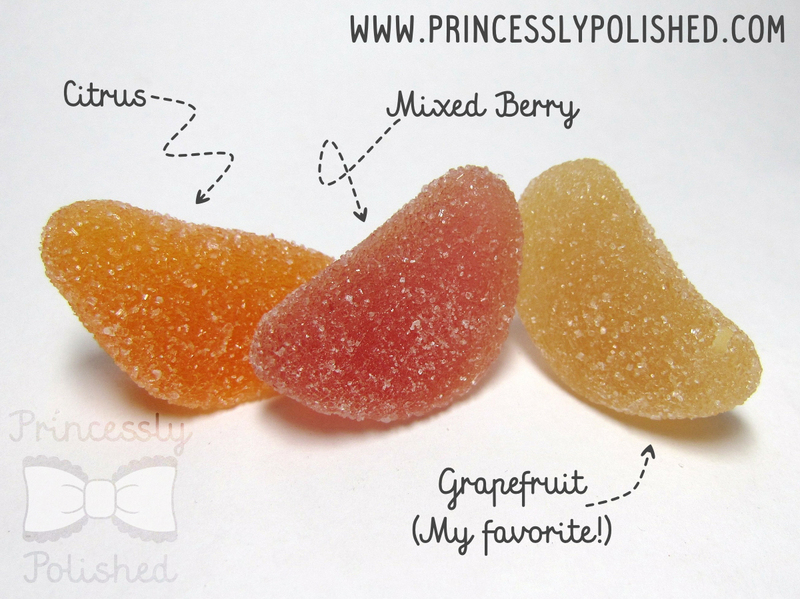 Mixed Berry is the pinkish gummy, and they have a pleasing "unidentifiable berry" flavor. Palest of the gummies, Grapefruit taste just like ripe ruby grapefruit. The best part about these is how genuine the fruit flavors are, and not too sweet or sour. These feel like eating candy, not taking vitamins! The important thing is if they work or not, of course. I can credit my husband with getting me hooked on immune support products, and we recommend them to everybody. While I was taking these I managed not to get the flu, though I did feel cruddy for a day. Airborne support contains vitamins, minerals and herbs that give your immune system a boost without any annoying side effects. So, these are a definite winner to me. The bottle contains 7 servings, and you can take up to 3 a day. I'll save my gummies as a once-per-day regimen, and if I'm actively fighting a cold I'll use the effervescent tablets in addition. Now, a coupon for you! Use this link to find out more about Airborne products and print out a coupon for $1 off any Airborne supplement you'd like - you might even want to print two! Have you tried these before? Which type is your favorite?